Why See 3 Doors Down? 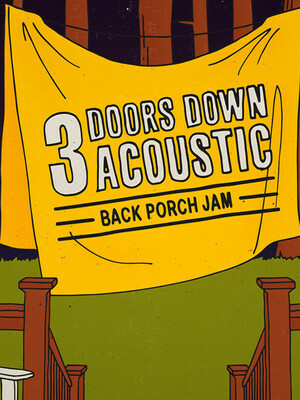 Mississippi rockers 3 Doors Down return to the stage with their Back Porch Jam tour. The tour is an acoustic interpretation of the band's hits, deep album cuts, and fan favorites. 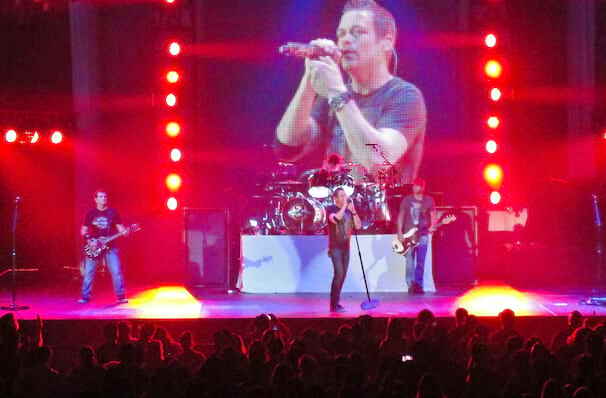 Brad Arnold, 3 Doors Down frontman, states the band has always enjoyed stripping down their songs and playing them acoustically; breathing new life into their hit songs, which allows for a switched-up setlist, and more intimate performances for the fans to enjoy. Formed in 1996, it wasn't until 2000 when they hit the stratosphere with their debut single Kryptonite, following it up with the six-time certified platinum first album The Better Life. Having seen a high turnover of members due to ill-health for original guitarist Matt Roberts and criminal charges for Todd Harrell, the band took a five-year break in 2011, before returning in a new direction. The band's 2016 LP reaching the Billboard No. 2 on Top Rock Albums, and No. 1 on Independent Albums following its release. Sound good to you? Share this page on social media and let your friends know about 3 Doors Down at Riverwind Casino. Please note: The term Riverwind Casino and/or 3 Doors Down as well as all associated graphics, logos, and/or other trademarks, tradenames or copyrights are the property of the Riverwind Casino and/or 3 Doors Down and are used herein for factual descriptive purposes only. We are in no way associated with or authorized by the Riverwind Casino and/or 3 Doors Down and neither that entity nor any of its affiliates have licensed or endorsed us to sell tickets, goods and or services in conjunction with their events.